Winston with the Brass-A-Holics in April 2012. Winston Turner played trombone with the Soul Rebels Brass Band. He attended St. Augustine High School in New Orleans, where he was part of the Marching 100, before studying and playing in the band at Southern University in Baton Rouge. Winston was influential in creating the Soul Rebels’ studio sound, working in drum machine tracks and layered vocals alongside acoustic brass melody lines. He also composed many original songs and contributed to the Rebels’ powerful vocal harmonies. 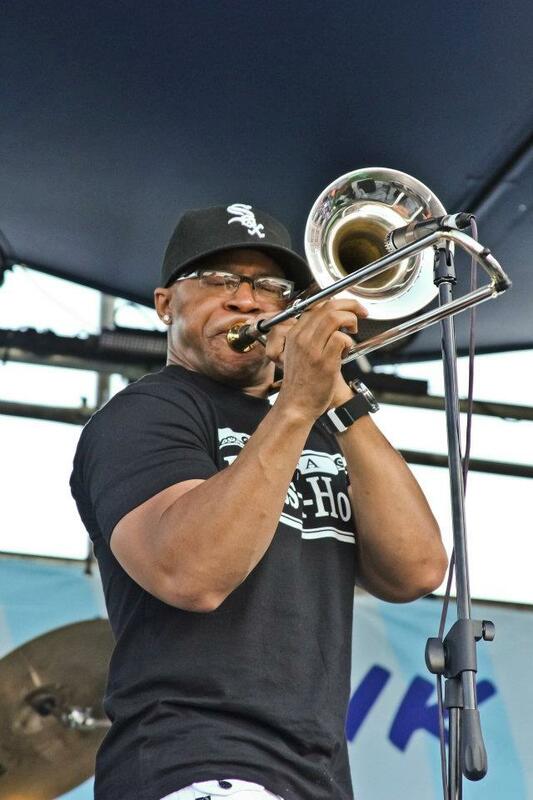 Winston stayed with the band until 2010, when he departed with trumpeter Tannon Williams to start the Brass-A-Holics.